1990 Mazda Miata with only 32K miles - Miata Turbo Forum - Boost cars, acquire cats. Hope the hoses are not dried up. 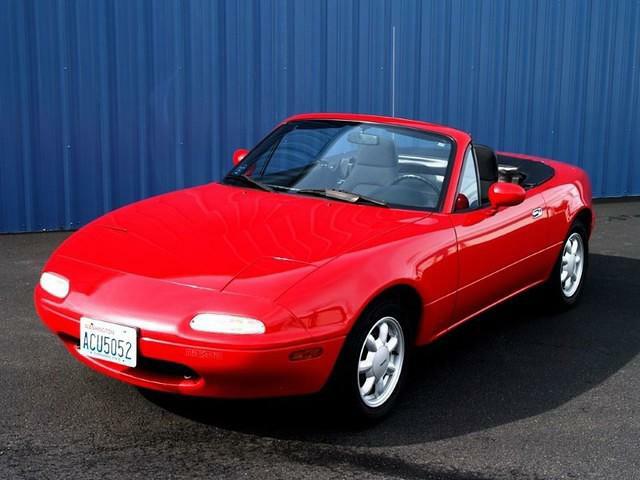 This 1990 Mazda Miata (VIN JM1NA3516L0111856) is said to have 31,600 miles from new and looks very clean inside and out, the ad claiming that the exterior is 100% free of dents and dings. Paint also looks very good, and though down a bit on power compared to later 1.8 liter NA-series MkI cars, these earlier 1.6 models are still a delight to drive. That's really not a bad price for a museum quality car. If you kept that up it might be worth big bucks someday. Upgrade my MSM coilovers springs or KW ? My 236whp 1.6L Parts Overview & Hard Canyon Run!